Today we'll introduce a new item to you guys! And it's from Brand ADVKEN. 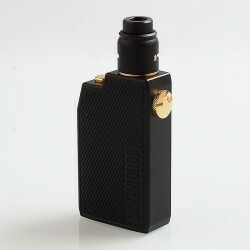 The Original Advken CP Squonking Kit consists of CP Bottom Feeder Mechanical Box Mod and the CP RDA. This item also has other color to choose. 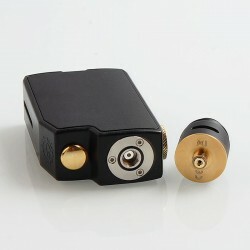 Powered by single 18650 battery, the authentic Advken CP Mod adopts press filling and fire button locking design. 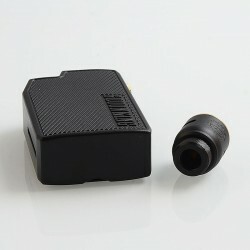 Inside is the 7ml glass bottle, and there is a hole for users to check e-juice. There is a button locking design for your safety. The Original Advken CP RDA features single coil building and post air holes design to deliver pure flavor, and a plate near positive pole effectively avoids splashing. 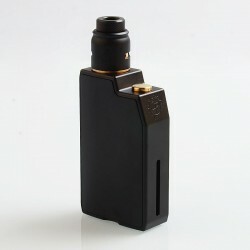 It comes with a 810 drip tip.